Good Stuff NW: Farm Bulletin: It's Chester Time! Farm Bulletin: It's Chester Time! In a Slump? Just Add Peaches! Everyone in the Willamette Valley who loves blackberries knows that if there's an Ayers Creek Farm label on the little green hallocks in the store display, they are in for some of the best-eating and cooking berries of the summer. These Chester blackberries are the hallmark of this organic farm's summer season, and it's best to get in while the getting's good, because the season isn't long and the demand is high. The following is the story of this iconic blackberry written by farmer and contributor Anthony Boutard of Ayers Creek Farm. We start harvesting the Chester Blackberries this week. 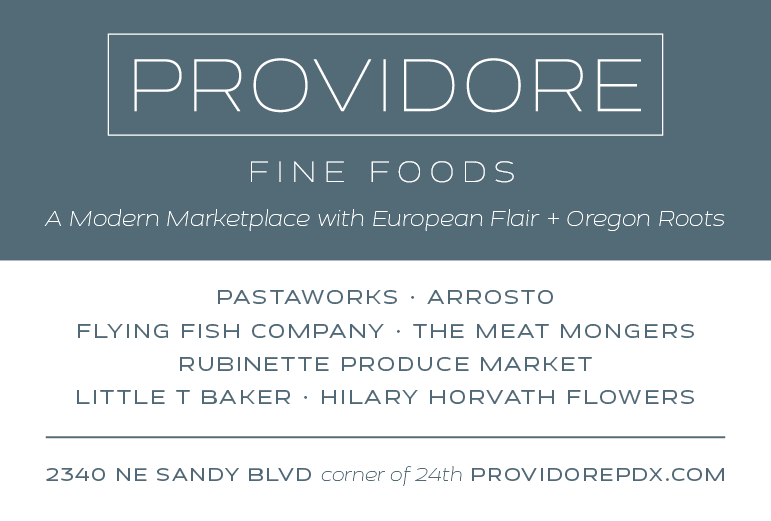 On Wednesday, they will be available at Rubinette Produce, Barbur World Foods and both Food Front Co-op stores. They will also have the Imperial Epineuse prunes. The first week of August should see our berries in most New Seasons stores. We will have an open day at the farm next weekend, the 28th and 29th of July, from 3-5 pm. We will be selling whole flats at that time. You can reserve flats by e-mailing the farm with the number of flats you want and what day you will pick them up. These are picked especially for you, assuring the freshest possible berries, so please warn us in advance if your plans change. We will have some other odds and ends available as well. On Sunday, the 29th, we will give a tour of the fields starting at 2 pm. The address is 15219 SW Spring Hill Road in Gaston, about a 45 minute drive from Portland. In the Spring of 1968, Robert Skirvin, a student of the small fruit breeder, John Hull (left), emasculated blossoms on the blackberry selection SIUS 47, carefully removing all of the stamens to avoid self pollination. The SIUS prefix indicated the plant is a product of the breeding program at Southern Illinois University at Carbondale. Each breeding program has a specific prefix that helps keep track of a variety's ancestry. Later he dusted pollen from the blackberry variety 'Thornfree' onto the receptive stigmas. 'Thornfree' is a USDA selection of the legendary English blackberry 'Merton Thornless.' Unlike many early thornless varieties which were chimeric and unstable, the absence of thorns in 'Merton' was a stable trait and useful for breeding purposes. After the fruits ripened, the seeds were extracted and planted. Out of the many dozens of 1968 seedlings, three were noteworthy for their flavor, yield and thornless canes. Two would be released as named varieties, and a third wound up as the maternal parent of a named variety. Skirvin completed his masters and then moved on to Purdue where he studied geraniums and earned his PhD. In 1973, the Southern Illinois Fruit Station was closed. Hull had the most promising plants moved to other experiment stations. 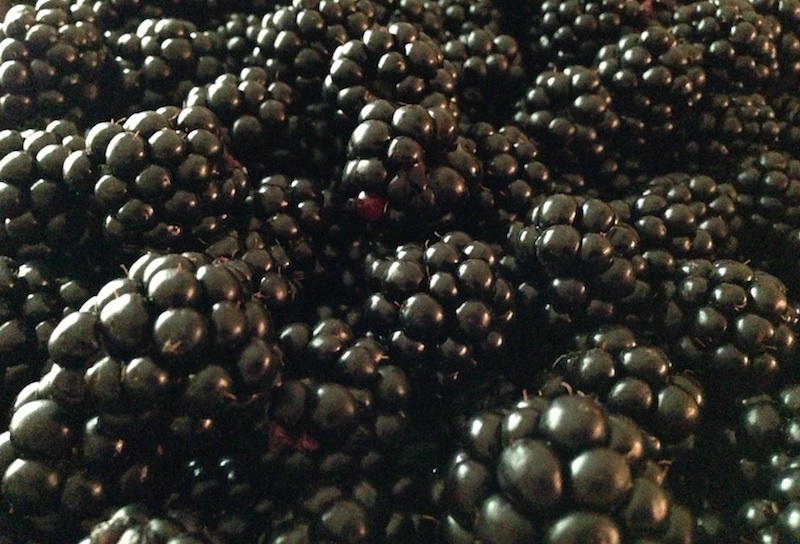 The blackberries were sent to Professor Zych who ran the small fruits program at University of Illinois, Urbana. Zych died shortly afterwards. 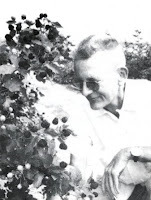 Fortunately, Skirvin (right) joined the small fruits program at Urbana and discovered that the blackberries he had bred many years earlier were still growing and producing fruit. He decided SIUS 68-6-17 was worth releasing as a named variety. 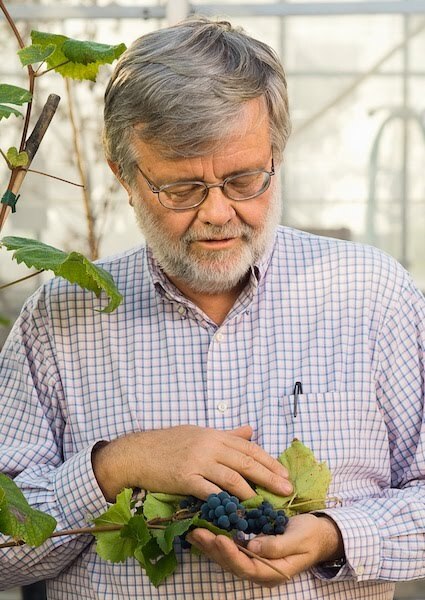 As John Hull already has his name affixed to one of the 1968 progeny, 'Hull Thornless,' they decided to honor Professor Zych who acted as guardian of the berry. We were spared a berry named 'Zych Thornless' because the breeders had the good sense to use his first name, Chester. SIUS 68-6-17 was formally released in 1985 as 'Chester Thornless', and earned the honorific of "Outstanding Fruit Cultivar" in 2001. Another selection from the 1968 breeding work of Hull and Skirvin was SIUS 68-2-5. That plant was pollinated with a blackberry from Arkansas, AK 545, and one of the resulting seedlings was released as 'Triple Crown' in 1996. Its flavor bears the distinct signature of berries from the Arkansas program. Southern Illinois Fruit Station operated from 1959-1973. During that short time, four named blackberry varieties were released from its breeding program, in addition to several other small fruits. 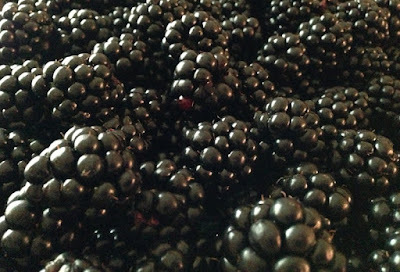 "Black Satin," "Dirksen Thornless," "Hull Thornless" and "Chester Thornless" remain highly regarded blackberry varieties. The great Senator Everett Dirksen (left), the master of eloquent barbs, had picked berries as youth. Dirksen was a champion of the center, and it thrived under his patronage. When you hear people decry "pork barrel spending" and "earmarks," savor a fresh "Chester" and maybe that will soften any rising indignation. Over the years, we have told the "Chester" story many times, each time from a different angle. Plant breeding is a craft unto its own, and we greatly admire people who explore the range of qualities available in a crop. The best breeders have this innate sense of how to guide and nudge the plant's unseen genetic qualities. Like other artists, they need patient patrons, as well as inspiration. Get Anthony and Carol's recipe for Blackberry Slump.